To promote the Jack Russell Terrier. To provide a central register of JR's, Stud Dogs, breeding kennels and puppies available. 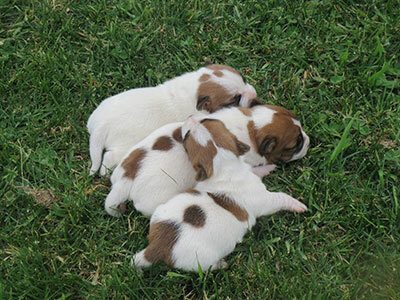 To provide official certificates for puppies as guarantee of purity for buyers. 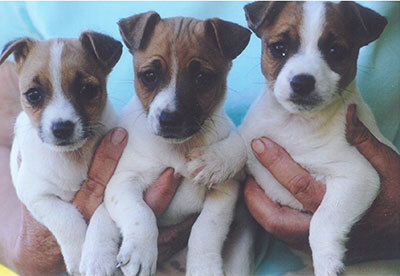 To prevent any deterioration in type, ability, character, ad temperament in Jack Russells. To provide social outings for JR owners and enthusiasts to get together in order to know each other and the dogs. To discourage theft and the market in stolen dogs by promoting registered dogs to such an extent that a JR without papers is valueless. To establish a library, archives, Hall of Fame, consisting of items of JR interest. To liaise internationally with other JR Clubs, owners and breeders. 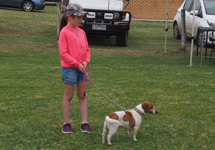 Camperdown Show Oct 10th 2015 sponsored by www.tuffdogbeds.com.au. Yourong Miss Sassie owned by Shirley Foster handled by Leila Johns.